Jon is the author of nine books of creative work including “The Reassurance of Ghosts” and “Salsipuedes” (poems), “The Winter Practice” and “Centripetal Force” (short stories), The Low Wire: Meditations on Loss and Creative Restoration (essays), “It Happens That Fast,” “Briarcliff” and “The Harbor” (memoir), and “Myriad: A Poet’s Guide to the Writing Life.” He is a co-author of “Siren Call SF,” a poetry-photography collaboration with San Francisco photographer Dwayne Newton, to be published in 2019. His third collection of poetry, “Wingspan,” will appear later this year. Jon was a finalist for the 2017 James Applewhite Poetry Prize, sponsored by North Carolina Literary Review. 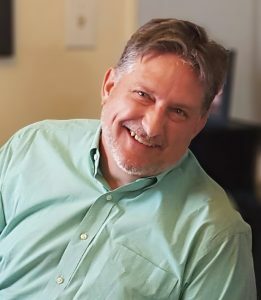 His poems have appeared in North Carolina Literary Review, Northern Virginia Review, The Greensboro Review, Blue Pitcher, Tar River Poetry, the International Poetry Review, Edge of our World, Stroke Connections, Santa Barbara Magazine, Spectrum (UCSB) and Spectrum 60th Anniversary Anthology. Jon has been a banker, small business owner, economic developer, seed fund manager and technology marketing director. He currently makes his living as a grant writer (social services and education non-profits), a technology blogger and ghostwriter of books on artificial intelligence, cloud computing, angel investing, project management and social enterprise. He lives in Bethesda, NC near Durham.